[Cold War civil defence exercise, Braintree Council, Essex, 1953] Collection of duplicated papers relating to the Council's 'Civil Defence Exercise “Robin”', with Autograph Annotations (one Signed) by the author, Brigadier H. H. Dempsey. [Urban District Council of Braintree and Bocking, Essex.] Clerk's Department, Town Hall, Braintree. 31 October 1953. 15pp., foolscap 8vo. Duplicated typescript on twelve leaves, stapled together. In good condition, lightly aged and worn. Several separate documents (some with separate dating) grouped together with a general cover page, which reads: 'Urban District Council of Braintree and Bocking | Civil Defense Exercise “Robin” | at the Braintree Community Centre, Sandpit Road, Braintree | on | Saturday, the 31st October, 1953 | 14.30 hours to 18.30 hours | Clerk's Department, Town Hall, Braintree.' Ownership inscription in pencil at head of cover 'Brig H. H.
[ Charles Adolphe Wurtz, French chemist, pioneer in the field of atomic theory. ] Autograph Letter Signed ('Ad. Wurtz') [ to Wilhelmina Maria Green ], encouraging her to translate one of his works into English. 27 rue St Guillaume, Paris. 6 January 1881. 1p., 8vo. On aged and worn paper. Addressed to 'Mademoiselle', but from the papers of The item is from the papers of the second wife of the geologist Alexander Henry Green (1832-1896), previously Miss Wilhelmina Maria Armstrong of Clifton, herself a scientist. He apologises for the late reply, which is to be attributed 'aux distractions du "Christmas" et du Tour de l'An'. His 'Traité de Chimie Biologique' has not been translated into English and it would please him to see such a translation made, with the agreement of his editor M. Manon'. A file of twenty-two Autograph Letters, most signed "The Editor", otherwise "Reginald Smith", or, not in his hand, "Smith Elder & Co" to W.A. 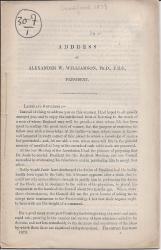 Shenstone, F.R.S., populariser of science (obit, "Nature" 77, 348-349 (13 Feb. 1908). With related items. All letters 8vo, total pp.35, good condition, some letters tipped in, others loose, not in chronological order. [ College of Aeronautics, Cranfield. ] 'Secret' typed thesis, with 71 diagrams, on the interception of atomic bombers, titled 'Turning Performance and Manoeuvrability of Aircraft at Supersonic Speeds by Lieutenant (E) R. A. Langley, Royal Navy'. The College of Aeronautics, Cranfield. May 1952. The problem with which the thesis deals is summed up at the start: 'If war broke out in the near future, attack by atomic bombers would become an immediate possibility, and one of the biggest problems would be the defence of this Island, which, with its areas of dense population, particularly around its essential industries, would present many ideal targets to the enemy. It would, therefore, be essential to destroy, or attempt to destroy, each enemy bomber before it reached the coast. 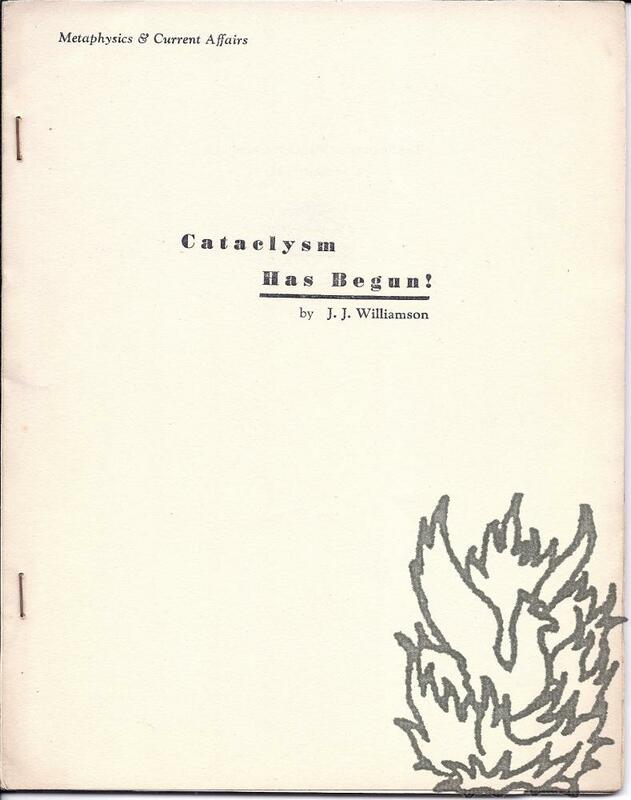 [ Atomic Weapons Research Establishment, Aldermaston ] Issue of AWRE News, 'The Journal of the Atomic Weapons Research Establishment', with article on cellular plastics by H. Briscall and C. R. Thomas. 40pp., 4to. In slightly thicker wraps. In good condition, lightly-aged with slightly rusted staples. A professional production in a 'modern' style, with numerous illustrations and advertisements. 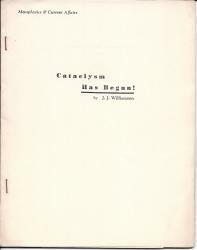 Includes: 'Aldermaston News', 'Recreational Society News', 'The Formation and Properties of Cellular Plastics', 'Adlestrop', 'The Other Side of the Hill', 'Dragon Shows its Paces', 'Kings of Pop', 'How to win the Language Battle', 'An Astronomical Satelite', 'News from the Outstations', 'Welfare Notes'. [ A. E. Glennie, computer pioneer. ] Article titled 'A. E. Glennie describes Electronic Computers' in 'AWRE News | The Journal of the Atomic Weapons Research Establishment'. 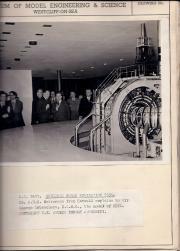 With photographs of the IBM 7090 at Aldermaston. A.W.R.E. News, vol. 8 no. 5. March 1961. 44pp., 4to. Stapled. The complete magazine, in printed wraps with green masthead, on shiny art paper, with attractive 'modern' layout and numerous illustrations. Incongruous image on cover of girl and lamb. Glennie's article is on four pages, with a photograph of the author accompanied by a brief biography (ending 'He came to Aldermaston in 1955 and is now in S.S.C.M.') and three photographs of the 'IBM 7090 Electronic Data Processing Machine', one of them small, and the other two each half-page, and accompanied by a lengthy caption. [British civil defence, 1950.] Autograph Notebook, with 'G. Reeves Atom' on cover, containing notes made at civil defence meetings (Home Office, Army or Fire Brigade?) in preparation for nuclear and biological warfare. [London.] Notes made at meetings between 30 March to 25 June 1951. 37pp., 12mo (including two irrelevant pages at the rear), of pencil notes, with some diagrams. In a spiral-bound 'No. 430 Reporter's Note Book' by Brown Knight & Truscott, Ltd, London. In good condition, lightly aged and worn. On cover: 'G. Reeves Atom'. 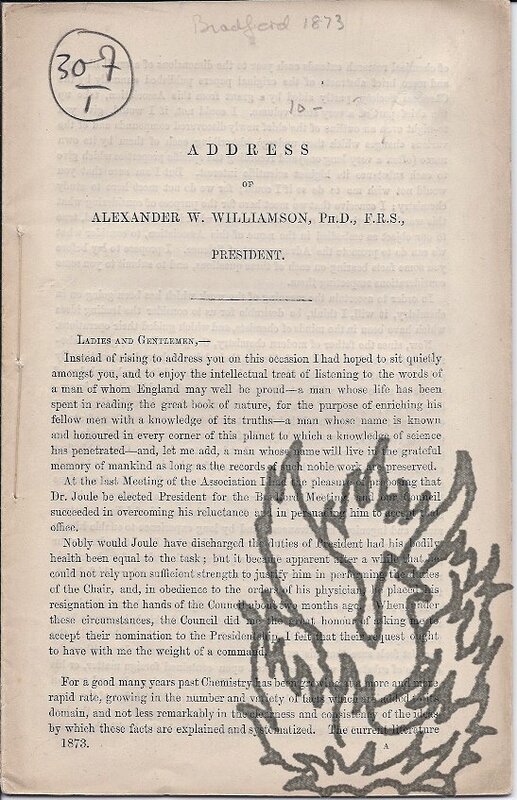 The notes were made at meetings or lectures held at roughly fortnightly intervals. (The last page records 'No meetings' on 9 and 23 June.) Topics include: 'Types of Shelter', 'Refuge Room', 'Long range rocket', 'Antipersonnel Bomb' ('When a bomb is found a red flag in a stick is to be placed 3 paces to the North so that B[omb]. 39pp., small 4to. Stud-bound in brown card printed wraps. In good condition, lightly aged and worn, with crease to front cover, to which the enamel badge is also attached, beside the ownership signature of 'E J Sayer' (Downing Street secretary Elizabeth Sayer, later Cooper.). First page dated in pencil '8th Sept', and pencil note in text of the 'permitted dose' of radiation. [Folding plate] A Table exhibiting the chemical Nomenclature Proposed by Messieurs De Morveau, Lavoisier, Berthollet, and De Fourcroy in May 1787. One page, 40 x 60cm, from unidentified edition (Instruction top right of page, 'To face Page 598'), fold marks, mainly good. First published in Lavoisier et al, "Méthode de nomenclature chimique" (1787). Paris 1787 Proposée par MM. de Morveau, Lavoisier, Bertholet, & de Fourcroy. 27pp., 8vo, sewn as issued, good condition. Scarce. COPAC lists six copies, while WorldCat lists the Glasgow and Edinburgh copies but no American. Folder compiled in 1958 by William E. Appleby, containing a plan, a list, photographs, and newspaper cuttings, relating to Appleby's model for the U.K. Atomic Energy Authority of the 'Zeta' fusion device at Harwell, for the Brussels Fair. 1958. All items laid down on pages headed 'Museum of Model Engineering & Science, Westcliffe-on-Sea'. The collection is laid down on the rectos of 43 leaves of a 4to folder, on pages printed with borders and headed with the name of the Museum. Items in good condition, with the usual aging to newspaper cuttings, in worn folder. Folder in original buff wraps with, printed on front wrap, 'Compiled and Edited by WILLIAM E. APPLEBY', and with the subject given in manuscript as 'Atomic Models & Machines (MEL) Zeta.' Last page with note by Appleby: 'Zeta | Science Museum | Made by | [signed] William E Appleby'.